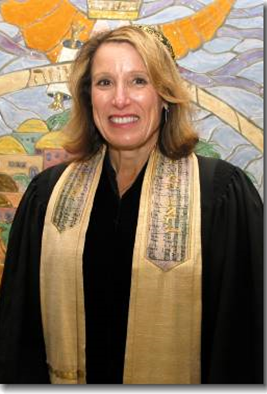 Cantor Ellen Sussman is enjoying her 27th year as a cantor and has become our spiritual leader as of July 1, 2011. Originally from Long Island, NY, Cantor Sussman has her undergraduate degree from Syracuse University, her Master of Music degree from Boston University, and is a graduate of Hebrew Union College Institute of Religion. Board member of the Jewish Federation of the Lehigh Valley and was involved with the Federation Continuity Partnership. A board member of the American Conference of Cantors, American Society of Jewish Music and President of the Delaware Valley Cantor’s Council. Cantor Sussman contributes to the preservation and vitality of Jewish Music. Cantor Sussman is married to attorney David Vaida and has two children, Jeremy Michael and Aliza Shoshana. Tools for School Campaign – Super-successful!!! What the Heck is Selichot?? ?